When the greatest female mathematician in history passes away, her son, Alexander 'Sasha' Karnokovitch, just wants to mourn his mother in peace. But rumor has it the notoriously eccentric Polish emigre has solved one of the most difficult problems in all of mathematics, and has spitefully taken the solution to her grave. 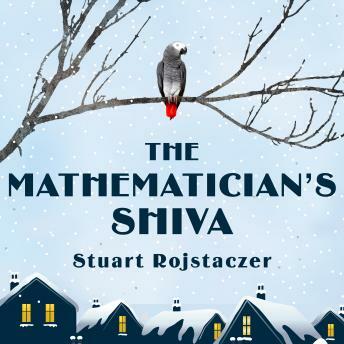 As a ragtag group of mathematicians from around the world descends upon Rachela's shiva, determined to find the proof or solve it for themselves-even if it means prying up the floorboards for notes or desperately scrutinizing the mutterings of her African Grey parrot-Sasha must come to terms with his mother's outsized influence on his life. Spanning decades and continents, from a crowded living room in Madison, Wisconsin, to the windswept beach on the Barents Sea where a young Rachela had her first mathematical breakthrough, The Mathematician's Shiva is an unexpectedly moving and uproariously funny novel that captures humanity's drive not just to survive, but to achieve the impossible.